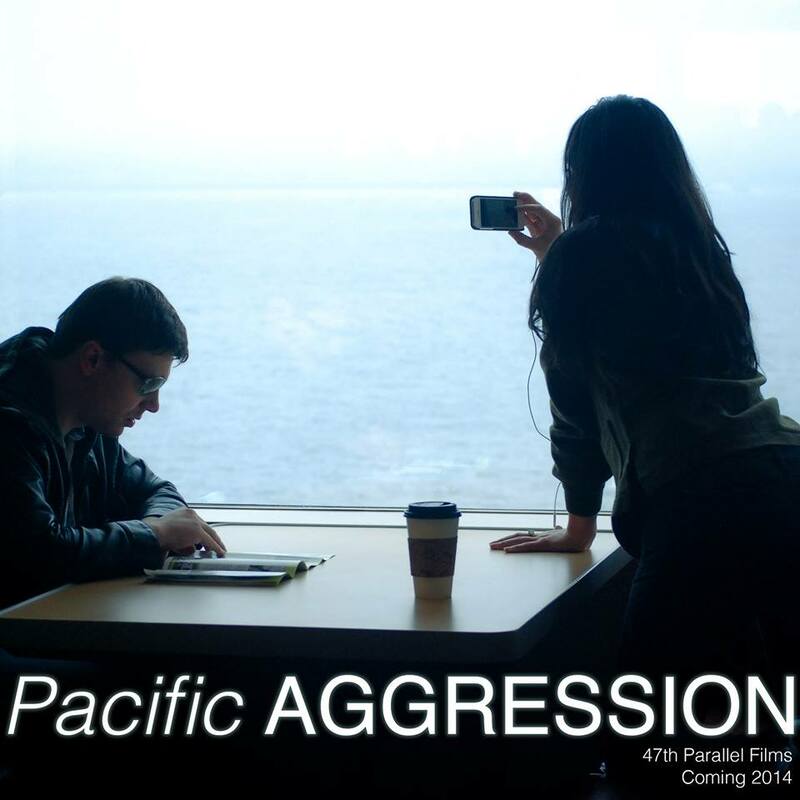 Pacific Aggression, a Seattle cinema tale of Internet addiction and intrigue, has its local premiere at a free screening Wednesday, March 12th, 7:30 pm, at Scarecrow Video. James Cashman, a cameraman on the film, took some questions over email. Seattle Star: Please describe your childhood. Did you grow up in Seattle? If not, where? What are your pivotal childhood experiences and memories? James Cashman: I grew up in San Jose, California, more specifically Willow Glen. I spent the first 18 years of my life there before moving to Seattle for school. My most prominent memories are with my family and friends. I grew up in a small immediate family, (mom, dad, and a younger sister), but my mom is one of 9 children and my dad one of 5 children. My entire extended family is made up of about 70+ people, and that number continues to grow. These are the people who I create some of my favorite memories with. I am very much the man I am today because of this strong family background. While I can’t think of a specific memory that I would define as pivotal, I can say that my memories with family are the ones that I can confidently go back to for guidance in uncovering my adolescence. Seattle Star: At what age did you arrive in Seattle? What are your earliest and most pivotal, Seattle memories? James Cashman: I’ve been traveling up to and spending time in Washington my whole life. I have early memories of Pike Market, the waterfront, the Seattle Art Museum, the Seattle Aquarium, etc. I have family from both my mom’s side and dad’s side represented in the PNW, and I’ve always considered it a second home. When it came time to look at different colleges and universities, I knew I wanted to be in a city, and Seattle was at the top of my list. It wasn’t until I moved to Seattle in 2011 that I had a chance to get to know the city as more than just a tourist. Seattle Star: How have your impressions of Seattle changed over the years? James Cashman: It’s been interesting to see how an already progressive city has continued to innovate and change everything from its economics to culture. As a filmmaker, I’ve seen this city really open itself up to me on various different student or personal film projects. Most people just want to help out or gain experience. Things like locations, actors, and crew come together faster and easier than what I’ve experienced in other cities. James Cashman and Evan Hiett test for rain. Photo by Silver Milk. In cities like LA or New York, everyone and their brother is trying to find a job as a production assistant so that they can maybe, maybe, move their way up to a leadership position in that particular department. 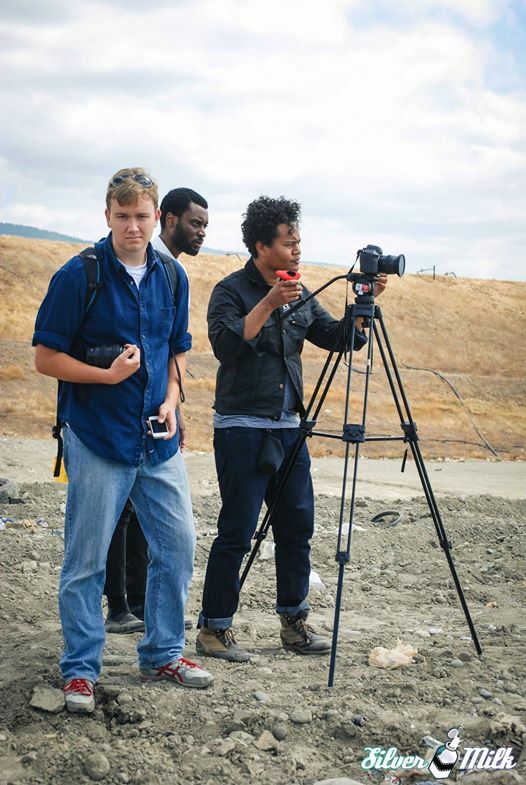 I’m still a film student, and have worked on a few different professional productions as a 1st Assistant Camera, Assistant Director, and even as a Director of Photography. In other cities, students studying film don’t have that kind of access to real life professional experience until years after they graduate. In that sense, Seattle hasn’t really changed, but is becoming leader in the independent film world for exactly that reason. People can work up here. Seattle Star: What are your earliest movie memories? Which films were early favorites and why? James Cashman: I remember watching a lot of movies as a kid. They were always “age appropriate”. By that I mean I wasn’t watching Goodfellas at age 6 or what have you. I remember being around 8 years old when I saw Forrest Gump for the first time. Now, of course, there are different opinions about that film and about its place in cinema history. For me though, it was the first film I’d seen that presented a truly epic story, a story with multiple parts and characters. The cinema suddenly became this huge, expansive, multidimensional platform upon which people were telling complex and riveting stories. I’ve since discovered other films, better films, that presented that same initial spark, the way Forrest Gump did when I was 8, and that’s why I think that hobby of watching movies for fun eventually evolved into a passion for watching and making films. Seattle Star: What are your favorite films and directors as an adult, and why? James Cashman: I have many favorite directors, including but not limited to Sam Mendes, Christopher Nolan, Wes Andersen, Martin Scorsese, Stanley Kubrick, Alfred Hitchcock, David Fincher, David Lynch, Quentin Tarantino, the Coen Brothers, Woody Allen, and so on. My favorite film of all time would have to be American Beauty, which again is another film that comes with its different opinions. I love it as an example film. It was Sam Mendes’ first feature film, and he did so many things right. I look up to it as I pursue my first feature once I’ve graduated from school. How can I emulate his style, his story telling, and his composition? I don’t want to copy it, naturally, but like I said it’s a great piece to study and to learn from. Seattle Star: What inspired you to become a cameraman, and how did you go about training/working? James Cashman: My real interest and passion is in writing and directing, but you can’t have a movie without a camera. My real interest in cinematography and camera work comes from my deeper passion for storytelling. The stories and screenplays I write are heavily based on things I see in my everyday life, and when words fail me, the image of the idea or story remains. It’s that image that I then strive to recreate, and that’s why I’ve developed this love for cinematography. It’s allowed me to pursue those images, those moments, that otherwise would have disappeared without any kind of documentation. I’ve received formal training on a few different cameras, but every production is different. I’ve learned the most by simply doing it, by taking what I’ve learned in a classroom setting and applying it to a specific production, where I then learn more about what really works and what doesn’t. Seattle Star: What were the hardest tasks involved in shooting the movie, and how did you rise to them? What gear did you use? How did you coordinate with the other camera people? James Cashman: Pacific Aggression was a fun film to work on in that it presented many different creative challenges. Often conversations would take place between Shaun Scott [director], Toryan Dixon (the Director of Photography) and myself about everything from composition to framing to how a particular sequence motivated action or movement in either the camera or the actors. There was a lot of on-set collaboration, which I loved. 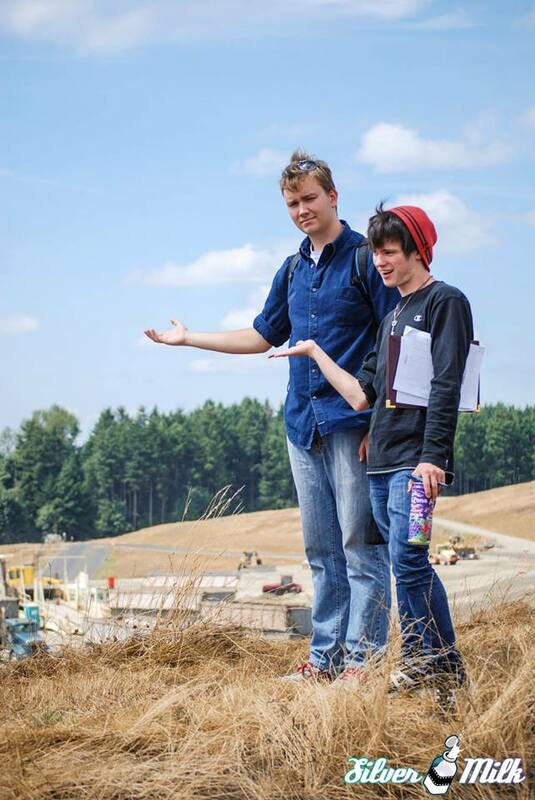 James Cashman, Shaun Scott and Toryan Dixon wonder if Hanford is still toxic. Photo by Silver Milk. I remember a specific speed bump we hit when shooting in Meryl’s apartment. The sun hadn’t set enough and we needed a completely dark room. The window blinds weren’t quite cutting it, and we were running out of options. After a conversation, I mentioned shooting the close up that we needed of Meryl on her computer (what was the written opening shot of the film) in the bathroom of our location. So we crammed ourselves into that bathroom, Shaun, Toryan, and I in the bathtub and Meryl [played by Libby Matthews] sitting on a bench. The shot was so close that in the darkness, there was no telling where she was. It was perfect. Several times on this production, little problems were solved with creative solutions like that one that allowed us to accomplish everything we needed to. Seattle Star: Do you currently live in Seattle? If so, what neighborhood and what are your impressions of that neighborhood? James Cashman: I currently live in Capitol Hill and I love it here. It’s a very young, very vibrant (dare I say hip?) community. It’s changed a lot in the three years I’ve been here, older buildings torn down, new ones put up, and some bus routes have changed or been discontinued for example. But one can’t escape the feeling that there is always something to do, or somewhere to go, or some band to see, or some new restaurant to try. It’s an exciting area to be a resident. Seattle Star: Your thoughts on Scarecrow Video, where the premiere will be held? James Cashman: Scarecrow Video is RAD! Never have I seen such an expansive collection of cinema from around the entire world, in languages I didn’t even know existed. Beyond that, Scarecrow’s vast library of titles is a reminder to me how many people are out there in the world making movies. You have to imagine that each movie in Scarecrow had a crew of at least 10 people, a cast of at least 3, and those numbers add up. As a young filmmaker myself, it’s daunting to walk into that store and see all the work that’s been done already. And yet, at the same time, it’s extremely exciting to have all of that at ones fingertips. Seattle Star: What’s in the immediate future for the film and for you? James Cashman: I’m currently working on a short thesis film project entitled Collision at Seattle University with a few other film students, and am developing another short script that will hopefully jump into pre-production this summer. Beyond that, I’m hoping to continue working and building relationships in the constantly developing and evolving Seattle independent filmmaking community. There are a lot of talented and driven individuals out there who I’d love to have the opportunity to work with.